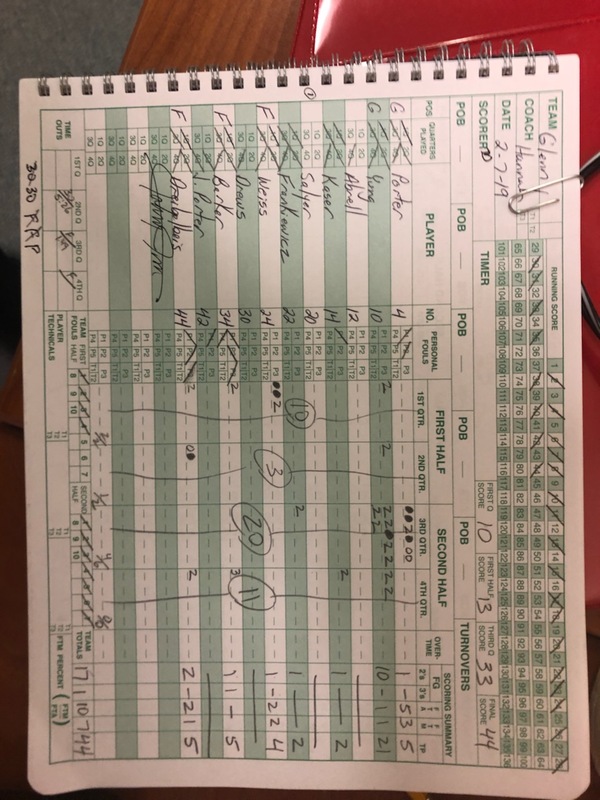 Glenn’s varsity found offensive difficulties again in the second quarter and couldn’t come back in a 60-44 loss to Adams Thursday night. Carter Yung put the team on his back in third quarter as Glenn cut the Adams lead to 9 scoring a game high 21. Glenn heads to St. Joe on Friday.